Why should you invest in truly knowing your customer? What's the benefit of being customer-centric as an organisation? We are absolutely convinced that the winners of the future are the companies that put their customers first in absolutely everything that they do. And I can tell you this over and over again, still, it's my opinion. Together with Espree, we are exploring great customer experience stories in an industry that absolutely needs to understand customers, they thrive on truly understanding what is driving a generation, what makes them happy. For Season One we investigate the Fashion Industry! We talked to brands, young and old, from all over the globe, including Zappos, Levi's and Element. We specifically talked to brands that managed to turn their brands into a lifestyle, part of a scene, part of their customers' life. Listening to our podcast will give you inspiration. 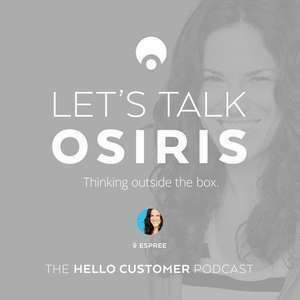 Listening to these insider stories will help you understand the real value of putting your customers first. 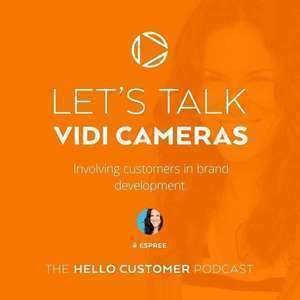 ViDi founded to solve the problem of the “upsell” with other action cameras - they aren’t ready to use out of the box but require expensive add-on products. Founder Tanner Yarro witnessed a kid being made fun of because he had an “off-brand” camera; it inspired the lower price point of ViDi but with branding that could make it cool for kids. Many professionals in sports like skateboarding empathize with a lower income upbringing and are helping to promote the brand. ViDi developed the printing technique to customize the cases of the cameras, and teams up with local artists for fresh designs. “Your pre-order is your vote” so they aren’t stuck with excess inventory. Flashmob skate competition helps connect the brand with kids, giving cameras as prizes and connecting kids to pro athletes. Brand ambassador program involves mentoring kids through social media. Because the designs are custom, ViDi is growing fan base in varied arenas (from skate parks to Korean pop). Goal for the future: fully customizable designs for individuals. Connecting with individual consumers and maintaining relationships; founders connected with teens at a trade show and continue to text and mentor them. 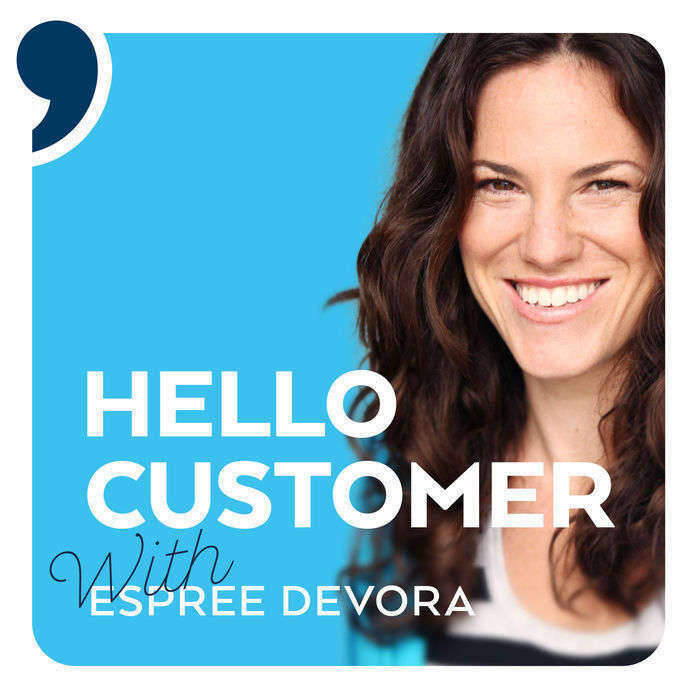 In the first episode of the Hello Customer Podcast, Espree interviews Cassy Miller-Crispe on how Afends provides customer support through live chat and integrates the community and its customers with the brand. 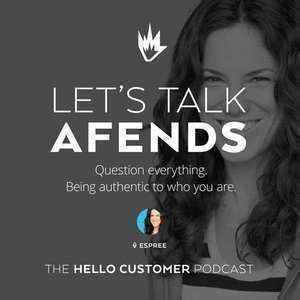 Tune in to get a sneak peek into Afends’ plans to take its customer service to the next level and how it is working on connecting with its customers. The quest for spiritual intoxication… No, it’s not a cult. 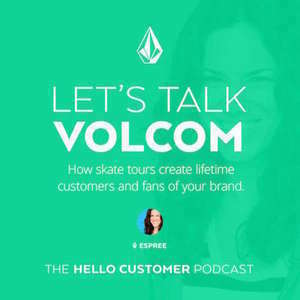 It’s the driving force behind lifestyle apparel brand Volcom. The company started in 1991 with a passion for surfing, skateboarding, and snowboarding, and they continue to convey just how strongly these sports are intertwined with self expression. For Brian Reid, founder of Osiris, incredible sneakers are not a commodity. Each pair is a piece of art. And to continually find inspiration for his art and craft, he travels the world, watching, listening, and most importantly -- skating. It’s the only way he has discovered to stay true to the “16-year-old” at heart so he can continue to connect with his customers even at age 40. 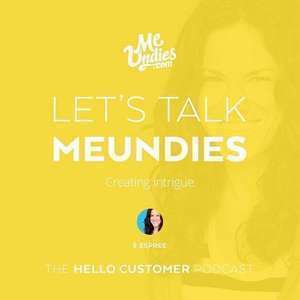 As a company that has to talk to people about their underwear (awkward), customer experience is at the tip-top of the priority list for globally growing brand MeUndies. How do they keep it lighthearted and memorably awesome? Growing up in an urban environment in a difficult household, Element founder Johnny Schillereff discovered comfort in the artistic expression of skateboarding and other street culture. Emerging as a successful skateboarder and artist, he found himself bombarded with branded items and gear. He intuitively sensed that if he were to have a company, he would treat the branding a little differently. He received all this stuff, but what did it mean? What were they trying to say and who were the people saying it? When a company is as established as Levi’s (founded in the late 1800s), they have to continue to please generations-loyal customers and solve new problems for younger jean-wearers. 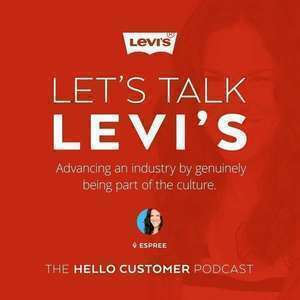 With each initiative of marketing and product development, Levi’s ensures customer satisfaction by hitting the ground, listening, and learning from the consumers in their markets. 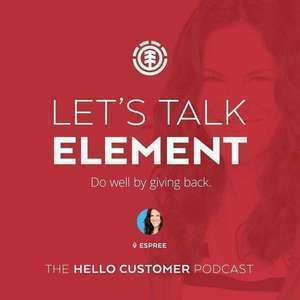 In this episode of the Hello Customer Podcast, Espree interviews Rob Siefker, the Senior Director of the Customer Loyalty Team at Zappos. He is based at the Zappos’ campus in downtown Las Vegas. 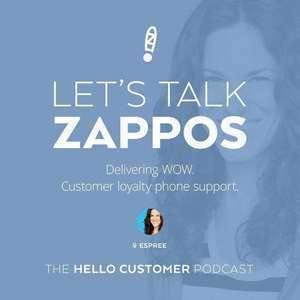 The Customer Loyalty Team (CLT) at Zappos is a team of 650+ employees who handle customer calls, answer emails and live chats and provide other kinds of support for customers.